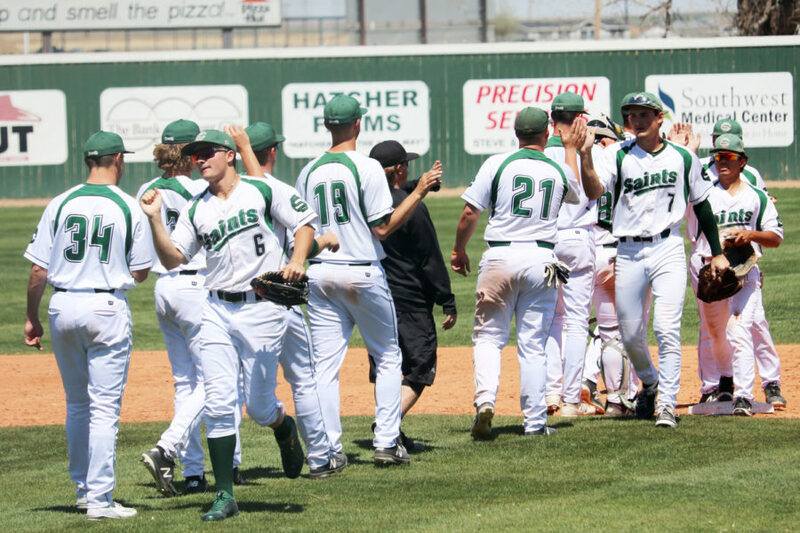 The Saints baseball team comes together and congratulates one another after their 8-2 win over the Blue Dragons. 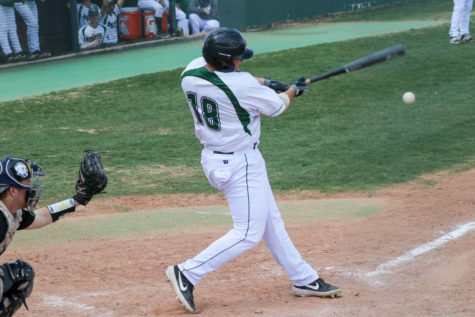 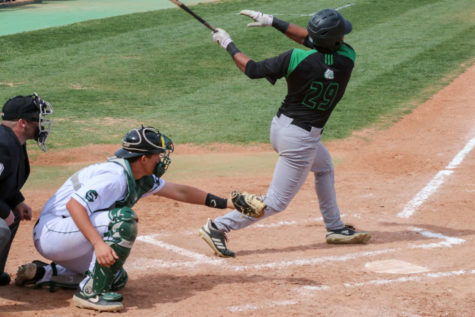 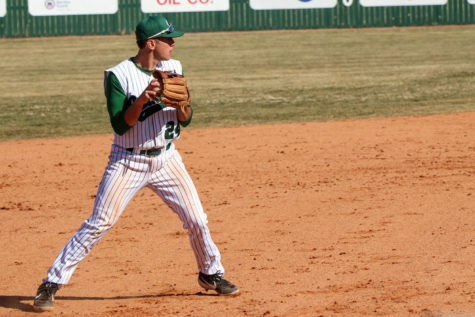 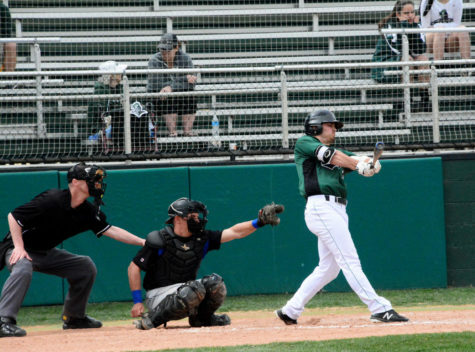 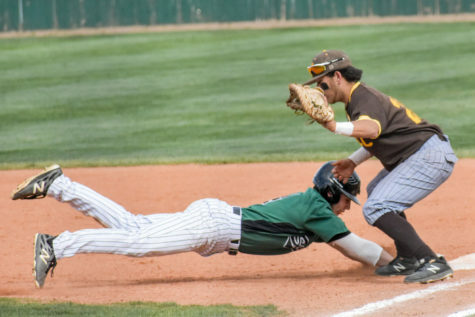 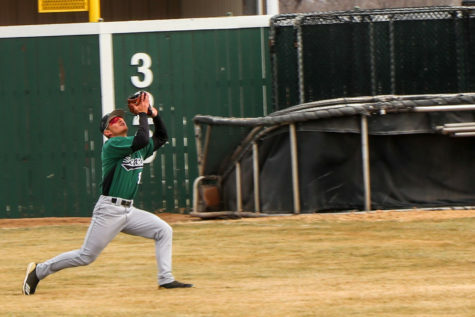 The Seward County Community College Saints baseball team defeated Hutchinson Community College in the first game of their double header on Friday, April 27 at Brent Gould Field. 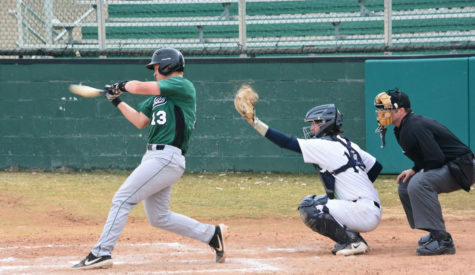 The Saints hit well to combine for a total of eight runs, while only holding the HCC Blue Drags to two. 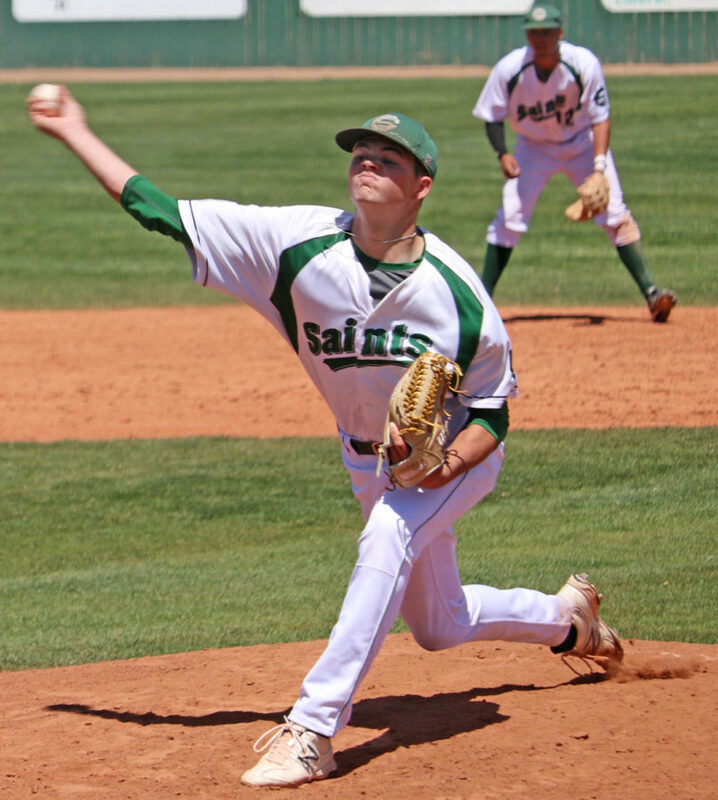 The Saints won the first game 8-2 and will begin the second immediately. 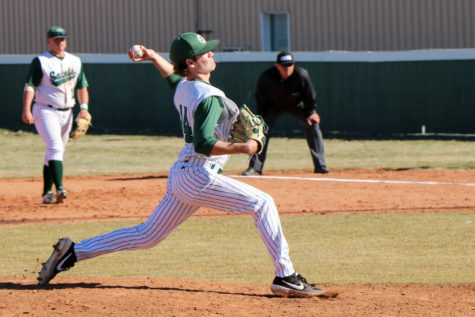 Seward baseball will follow HCC home as they play another double header against the Blue Dragons on Saturday, April 28 beginning at 1 p.m.
Tanner King, freshman, pitches to a Hutchinson Community College batter in the first game of a doubleheader. 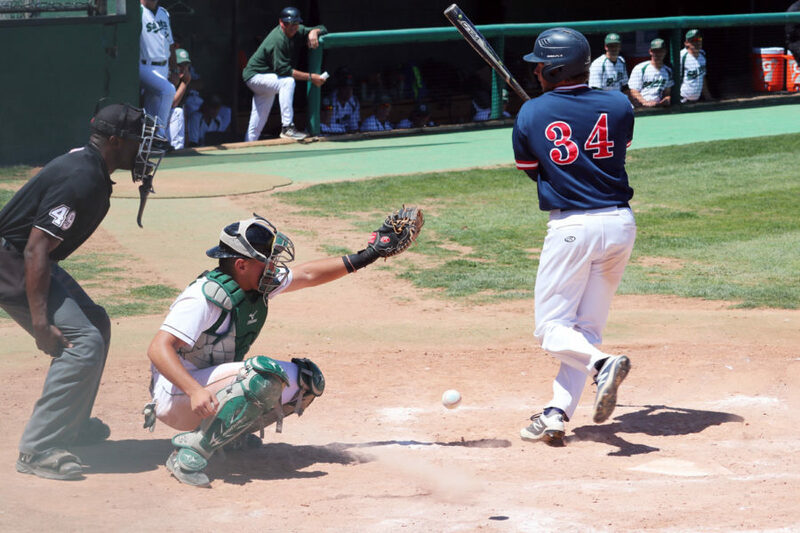 King has earned seven wins this season, including this one. 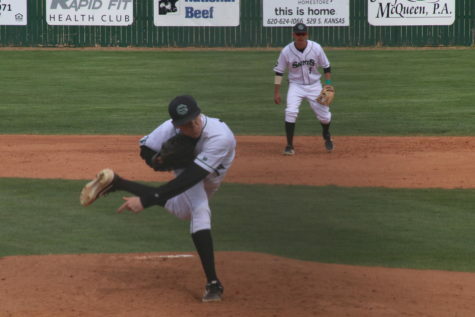 He managed to hold the Dragons to two runs with little help from the bullpen. 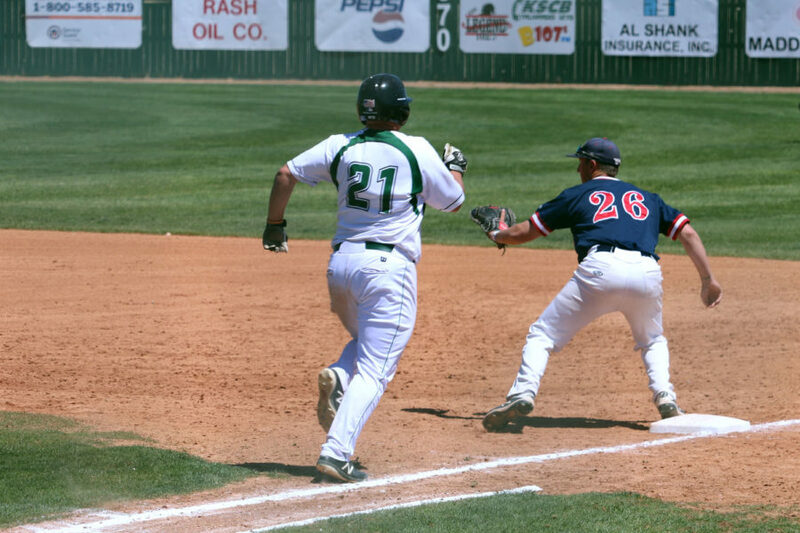 Freshman, Cayde Ward hits a grounder and attempts to run to first. 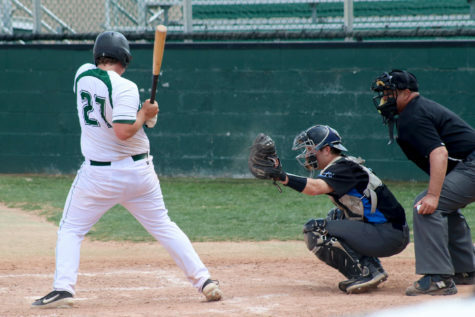 Saints catcher, Joseph Koon attempts to catch a pitch after it hit a HCC batter.